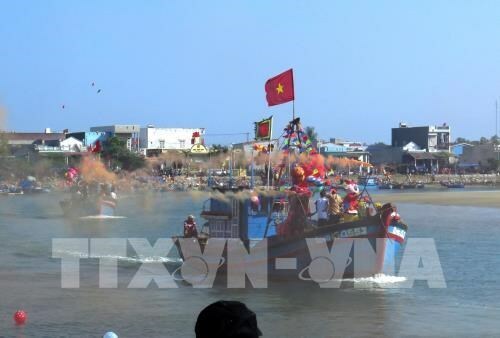 A festival was held in the central province of Quang Ngai’s Sa Huynh port on February 7 or the third day of the first lunar month to mark the first sailing of local fishermen in the lunar year. 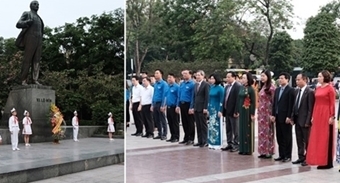 As a pray for a new year of favourable weather and bumper harvests, the festival featured traditional singings by local fishermen, namely Sac Bua and Ba Trao. At the event, dozens of fishing vessels set sail in the sound of drums. Sa Huynh port is located in Duc Pho district’s Pho Thanh commune where about 65 percent of population are fishermen, with more than 1,000 fishing ships.